A new report by visiongain forecasts the overall world market for biosimilar monoclonal antibodies (mAbs) will exceed $4bn by 2020. That revenue forecast and others appear inBiosimilar Monoclonal Antibodies: World Industry and Market Outlook 2015-2025, published in January 2015. 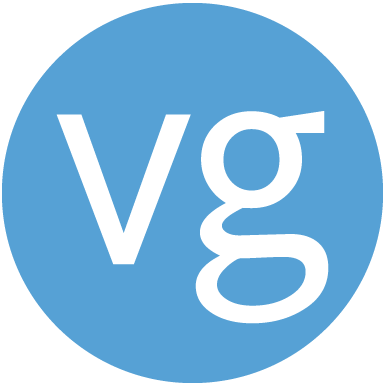 Visiongain is a business information publisher and consultancy in London, UK. Its new investigation predicts the overall biosimilar mAbs market will multiply in size from 2015 to 2025. The biosimilars (follow-on biologics) market is expanding, as guidelines are implemented and approvals attained in developed markets such as the EU. Visiongain believes the driver of the biosimilar mAbs markets will be more-affordable alternatives that industry provides compared with originator products. The biosimilar mAb drugs market will face challenges posed by competition from biobetters and lack of confidence of some doctors for drug interchangeability. However, those challenges will be overcome because of high demand worldwide for affordable biological drugs, especially therapeutic monoclonal antibodies. Alyscia Curtis, a pharmaceutical industry analyst in visiongain, said: “The future of the biosimilar mAbs market looks promising, with a number of drugs in the R&D pipeline. Marketed therapies, such as Celltrion’s Remsima and Hospira’s Inflectra, have gained approval in major markets such as the EU. The expansion of biosimilar mAbs into leading national markets, as well as their lower costs compared with originator products, will continue to stimulate revenue expansion in that industry. · Other agents (grouped prediction). That study also predicts revenues of 16 leading products, agents in the market and expected, including Remsima/Inflectra, Clotinab, Reditux, AbcixiRel and Mabtas. Revenue forecasts are also included for Herzuma, Infimab, CANMAb/Hertraz and AcellBia. Research, data and analyses cover activities of BioXpress, Celltrion, Harvest Moon, Genor Biopharma, Mabion, Pfizer and other companies. That new study also discusses R&D and commercial news, shows four research interviews and predicts revenues to 2025 in 12 leading national markets. The work analyses the United States (US), Western Europe (Italy, Spain, Germany, the UK and France), Asia Pacific (South Korea, Japan, China and India), Brazil and Russia. Biosimilar Monoclonal Antibodies: World Industry and Market Outlook 2015-2025 adds to visiongain’s other reports on industries and markets in healthcare. Those studies cover pharmaceuticals, diagnostics, medical devices, outsourced services and biotechnologies.